These Q&As about the pets in strata Qld have been refused contributed to by Frank Higginson and Todd Garsden of Hynes Legal and Kelly Borell of Tower Body Corporate. Question: Our Body Corporate has refused a proposal for a resident to keep a cat and a dog. The resident is appealing the vote. What process does this appeal take and, during the process, do we get a chance to support the Body Corporate’s decision? We had 2 proposals tabled from 1 tenant. One application was for approval to keep a cat, and the other to keep a dog. We are a five-unit complex and the motion was resolved 2-0 mainly because the cat was already living in the building. The application for the dog failed to pass by the same result 2-0. Aside from the proposer, of the other 2 owners, 1 did not vote and the other was ineligible. Now the proposer is appealing the vote. Can you tell me who they appeal to and what process that appeal takes? Also, do the voters who voted “No” have a chance to support their decision? Answer: The resident needs to go to the Commissioner’s Office to seek an order that the body corporate acted unreasonably in refusing the approval. What they have to do is go to the Commissioner’s Office to seek an order that the body corporate acted unreasonably in refusing the approval. That will normally take somewhere around three months, but to be honest, these ones are pretty easy for them, which means it may be quicker. The pet will almost certainly be allowed. …do the voters who voted “No” have a chance to support their decision? Of course, they do – but the question is whether their say is an objectively reasonable one – which is now what matters. They will be asked for why and they will be able to explain themselves. This post appears in Strata News #205. 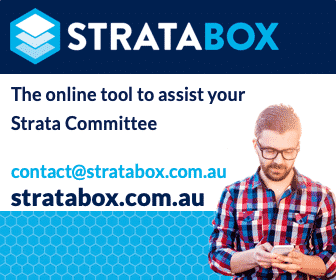 Question: I was wondering if you have any information about Pets in strata QLD for strata living and whether or not there has been a change. I live in a complex on the sunshine coast where the Body Corporate has been in control for many years without change to their positions or representatives. They all hate pets and do not consider individual requests or needs. At the last meeting, they refused a request for no reason at all other than to just say they hate pets. I would appreciate any information you might have on the topic of pets in strata QLD. Answer: If the Body Corporate has refused a request to approve a pet, the owner can make an application to the commissioner to have the decision overturned. I know that there have been many cases where the commissioner has given approval for pets. We have dealt with 4 or 5 cases ourselves. The owner will also need to check what their bylaw actually say in regards to pets. If there is a blanket ‘no pet’ rule, the owner could put up a motion on a general meeting to have the bylaw changed to a ‘pets with approval’ bylaw. If that motion is defeated, then they should include it in their BCCM application to have the bylaw changed. This article is not intended to be personal advice and you should not rely on it as a substitute for any form of personal advice. Question: Can body corporate administration fees for approval of pets in our strata be passed onto individual lot owners? I live in a block of apartments in QLD and recently had a claim for damage to window frames following a break in. The window frames form part of the common property and a claim was submitted via the Body Corporate Management. Body Corporate Management has since invoiced me personally for the costs of administration for submitting that claim. Can they legally do that? Also, when a submission is put forward for approval of a pet in our strata, the owner in question has to pay an administration fee to the committee. Can the committee do that or does the Body Corporate have to wear that cost? In other words, what body corporate administration fees can be recouped from individual lot owners? Answer: If the lot owner wants pet approval considered outside the normal scope of the committee meetings, it is possibly fair enough to charge for this. If the claim was for common property the strata manager should invoice the body corporate, not the lot owner, but only if they are entitled to under their management agreement. With respect to the pet, if the owner wants it considered outside the normal scope of the committee meetings it is possibly fair enough to charge for it. While the body corporate has an obligation to respond, it doesn’t have to do so to every single request the day after it lands. If it is put to expense processing something outside the normal course of business, then I think the recovery of the administrative costs is fair. If there was a charge given even though there was a committee meeting already arranged like normal where it was considered, I think not. The committee should tell the owner that, if they want it considered before the next committee meeting then they must bear the costs incurred. The owner should then be given the opportunity to wait or bear those costs for it to be expedited. This post appears in Strata News #130. Question: Do apartments allow large dogs? If the Body Corporate refuses, where do I stand legally? We own a 140 unit permanent management rights in Queen. We have 33 owner occupiers and 107 rental units of 86 are ours. We bought the business is Sep 15 and asked if we were allowed an exemption to bring our 30kg bulldog. It was flatly refused. The Body Corporate by-laws state 1 animal up to 10 Kilos. Since we have been here for a while, we are considering asking permission again, however, the committee is old school retired people and I am sure they still won’t approve. If they still say no, where do I stand legally? I have heard of many onsite managers having special approval for a dog, so surely there is something that can be done. Small dogs are often more troublesome than large dogs and the amount of excellent potential tenants I have to turn away because of a dog over the limit is enormous. Hoping you can give me some guidance. Answer: The starting point is whether a 10kg limit on pets is unreasonable. The starting point is whether the 10kg limit on pets is unreasonable. Adjudicators consistently say that it is unreasonable – so the committee can’t rely on that for a basis of saying no to the pet even if it is in the by-laws. The committee would need to consider the pet application on its merits and approve it on reasonable conditions or refuse it (but only if that would be considered reasonable). Other than a demonstrated nature of the pet to cause a nuisance to others, it is very difficult for a committee to refuse any pet. QLD: What does ‘acting reasonably’ mean? We recently moved into a townhouse where the previous tenant owned a cat with a large cat enclosure on the balcony. When we asked if we could have a cat, the agent said we should just submit a pet application to the body corporate but they ‘think’ it should be ok because of the previous tenant. However, the body corporate declined our application saying “don’t feel it is suitable for the property”. We asked further reasonable reasons of the refusal, offering we are happy to create a pet agreement form and choose the preferred type of cat if needed. Then, we just received a reply saying “the owner does not feel the property is suitable for pets, and had declined the application” from the agent which is basically repeating the same thing. The property is old and already has damaged (which won’t be fixed by the body corporate). There are two aspects here that seem to be crossed over. The first is body corporate approval – this would seemingly be pretty straight forward and without a really good reason to refuse, the body corporate almost always has to give approval as they have an obligation to act reasonably. The second is approval of the owner – this is really up to the owner’s discretion as they don’t have the same obligation as the body corporate. Is it the owner who has rejected this or the body corporate or both? A relative bought an apartment, there are already one cat and three dogs allowed there. She has applied for permission to have her cat and build a cat enclosure in her private courtyard. Enclosure would be professionally built and easily dismantled for removal if necessary. She is desperate to get it built asap so her cat can go outside. Strata management has had a committee meeting but she is told it will take 21 days for any decision to be made. She feels they are making things as hard as possible for her as she has also called to their attention some urgent repairs that need to be done to the building. They appear reluctant to do any maintenance at all in spite of high body Corp fees. They are entitled to move at ‘reasonable’ speed. They don’t have to act immediately. As you need their help in approving the proposal, I suggest you deal with this matter first before making a point of calling attention to the alleged repairs that need to be done to the building. We had an unpleasant unit owner who hated animals of any sort, and was Sec. Treasurer. We wanted to allow pets, she refused, so we took her to court. She lost, the magistrate saying, nobody has the right to dictate how other people should live, and as as long as the animal was cared for, made no noise, or disturbed others, the property the animal lived in belonged to the person, not the complex. She took us back to court, and lost again. Since then we now have 5 cats, and three dogs, and all live in harmony. She sold up, moved half a K down the road, and started on the next lot of people to get rid of their pets. Back to court, and lost again. Be prepared to go to court, it’s worth it, as many body Corps are blustering, let them prove it. and this one still stands. Yet we have one owner who wants a dog. we had a meeting regarding this matter and an overwhelming 99% are against letting the dog in , Why do we pay for our by laws to registered if they can be overturned by fair trading? I ask why do people who live in no pet policy places, suddenly after 4 years of living here, all of a sudden want a dog???? ?This has caused the greatest uproar to the rest of the residents and I ask you would you want to live in a complex where 99% of people are against you. I know I certainly wouldn’t. I agree that this sort of thing causes lots of consternation, but the starting point is that just because a by-law is registered does not make it lawful. By-laws cannot be oppressive, unreasonable or prohibitory. So a ‘no pet’ by-law is stone cold invalid, and adjudicators have held that the starting point with pets is that as long as they do not unreasonably interfere with the use and enjoyment of other lot owners of their lots and common property that preventing people from having them is oppressive or unreasonable. Correct. It beats me why people think they have the right to dictate how others should live, without even considering that pet, might be the only family that person has. What a hide. If the pet causes no problems to others, then the pet and owner should be left alone. Take them to court, and see what happens. With your feedback, we feel we have now fixed the issue and obtaining PDFs of our articles should be back to the simple process of logging in. Please get back in touch if you experience any further difficulties and thanks for letting us know. I live in a pet free strata complex. The owners got together and silenced those who simply hate pets, and they lost the vote. We now have three dogs, and five cats residing. No problems whatsoever, as all are well cared for, quiet, clean, and are companions. It was a battle worth fighting, and none of the haters have moved out. Never give up. Thanks for your positive message about pet ownership in apartments. I have 2 cats told to keep inside the unit 24/7 all the time for no reason to be treated like a dog on a lead and going crazy inside like a caged tiger when stating animals should state dogs are not cats.